I first thought of this recipe after looking back at old photos from when I was abroad last year. When I lived in Paris, my friend and I liked to go to this Middle Eastern café on the right bank because it was cheap and close to the Louvre. Almost every time we went, we shared a pot of their mint tea and a handful of rosewater tinged marzipan sweets. However, my favorite part of ordering their tea was how they served it. Before them, I had never tried orange blossom water before. However next to the tea pot, they kept an ornate dispenser that dripped a couple drops of orange blossom water into your tea if you wanted. Ever since then I have been obsessed with the stuff. When I got home from school this summer, I found that my backyard had been overrun with fresh spearmint. Since it was going to have to be removed, I figured I would save some and make tea with it. It also gave me a chance to break out my nearly untouched bottle of orange blossom water. 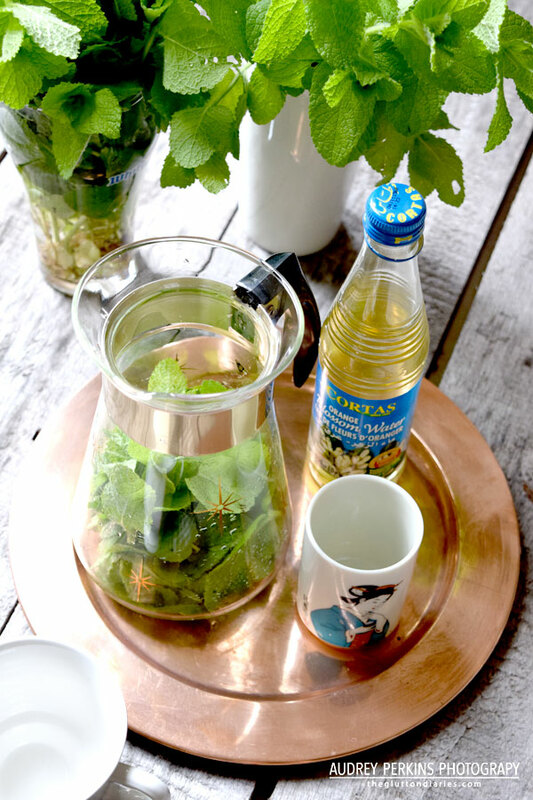 *Quick tip, the flower water is very potent, so if you get your hands on some and plan to use it, be sparing with it or your tea will become perfume. 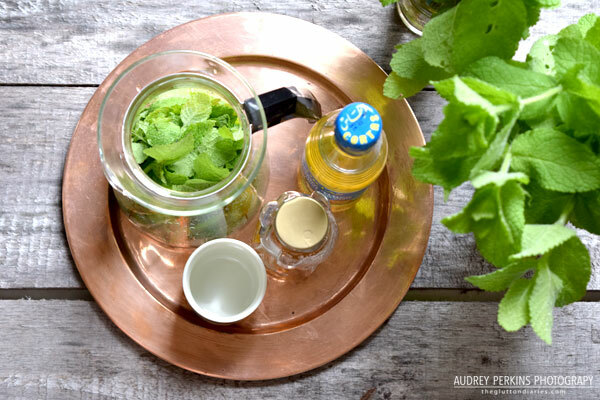 Step 1: Place the mint in a tea pot then add the honey. Pour in the boiling water. Let steep for 3-5 minutes until the water is golden brown. Step 2: Pour into your cup and add the orange blossom water. Again, be very careful with the stuff or you will get an overwhelmingly perfume-y tea. A drop or two will do it.